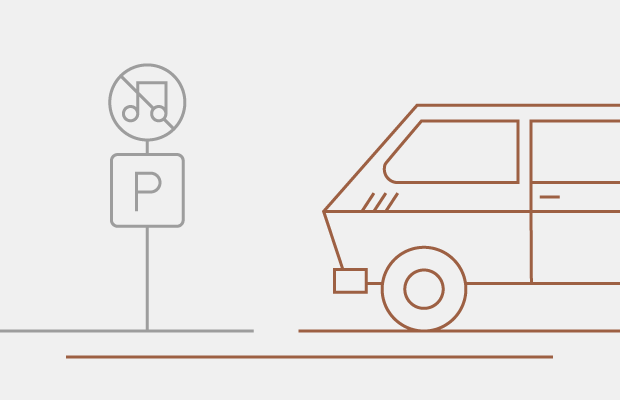 QuestionWhy do we turn the music down when parking? Hopes&Fears answers questions with the help of people who know what they're talking about. Today, we ask researchers in cognitive science why multitasking is such a problem. Despite a plethora of technology at our disposal—designed to make us faster and more efficient at everything from walking and banking, to dating and sleeping—there’s only so much our brains can process simultaneously. Studies have shown that most of us overestimate our ability to multitask, and only 2% of the population excels at juggling more than one activity at a time. Now that you’re humbled, think about the last time you tried to park a car. Chances are, you were probably listening to music and had to turn down the volume (even though you were really feeling that track) in order to park. We spoke to several researchers to come up with an extra science-y explanation for why it feels like sometimes your senses are competing with each other when you’re trying to complete multiple tasks at once. It’s simply distracting. Loud sounds are hard to ignore, especially music or speech that is really engaging. Your brain wants to process it, and it’s hard to block out. You can’t focus on too many things at once—there’s a central limitation on what we can process. Processing the sound of the radio takes resources away from the thing we’re really trying to concentrate on, which is this difficult sensory-motor problem of turning the wheel at just the right time and angle, and coordinating that with moving your foot from your brake to the gas and back again, with just the right amount of force. Lots of scientists and researchers are trying to estimate our processing capacity: what is the number of things we can do at once? But there isn’t a single correct number, because how much two actions interfere with each other depends on the nature of the actions. If I’m trying to listen to two things at once, it’s nearly impossible. But I can listen to one thing and do some other relatively simple thing that doesn’t involve hearing, like bouncing a ball, with little trouble. The more common or similar two tasks are, the more they’re competing for exactly the same neural resources, and the more they interfere. Going back to the original question, even though the skills involved in parking and in listening don’t share a lot of similarity, if a task is really tough (like parallel parking on a busy city street as motorists, bicyclists and pedestrians whiz by), even the smallest amount of interference in processing may lead to a nice new dent in your bumper. THE percentage of automobile accidents that occured in parking lots of shopping malls, shopping centers, supermarkets, and big box stores nationwide in 2013. THE PERCENTAGE of accidents due to driver inattention that occured within three seconds before the event. THE PERCENTAGE of people who use a cell phone at some point while driving during the day. THE PERCENTAGE of women who sing along to music while driving—compared to 45% of men. THE estimated NUMBER of parking spaces in the United States, which comes out to about 3,590 sq. miles. THE NUMBER of drivers or pedestrians killed in work-related parking lot accidents in 2013. THE NUMBER of people who died each day due to distracted driving in 2013. When we are faced with a task that requires intense concentration, we need all of our brain processing the options and performing the actions and anything that takes away resources diminishes our ability to perform. Sadly, most of our work shows that younger people—as well as older ones who are enmeshed with technology—have little idea of what they actually can do simultaneously and what they can’t. 87% of iGeneration members (those born in the 1990s), believe that they can perform 87% of the pairs of tasks we presented. Net Geners (born in the 1980s) are right up there at the belief that they can do 81% of the pairs together. These include dual tasks such as playing video games and texting or reading a book and talking to someone face to face. When it comes to driving, coffee > radio. In one 2014 study showed that caffeine helps a tired person maintain good driving performance better than music. Basically, driving is a task that normally requires a small amount of planning followed by execution. So, if you’re driving on the highway, every once in a while, you need to think about the cars ahead of you and perhaps plan to change lanes. But, most of the time, you’re doing low-level execution to keep yourself in your lane. To do that high-level planning, you have to divert your attention from the radio (or a cell phone conversation) to the task of driving. You’re diverting, not actually multitasking. You shift your attention back and forth among the various tasks you are doing. When you park (or when road conditions get bad due to an accident or bad weather), then the task of driving suddenly requires a lot more planning. There are lots of cars around doing somewhat unpredictable things, people walking through the parking lot or crossing the road, and small spaces to maneuver into. In a high-planning environment, the radio now becomes a significant distraction, so you turn it down or turn it off rather than trying to actively ignore it. Parking a car, especially in an unfamiliar location, requires a substantial amount of cognitive control in order to process all of the information necessary to get the car successfully into the spot. We know from neuroscience research that this kind of cognitive control requires the prefrontal cortex, which helps us guide our behavior based on feedback from the world along with our goals (such as not denting the car). This research has also shown that the prefrontal cortex functions best with a moderate amount of stimulation, and that relationship has been linked to the amount of particular brain chemicals (called catecholamines) within it. When stimulation is too great (such as when we are stressed out), our prefrontal cortex starts to fail; we lose track of what we are doing and become easily distractible. The Yale neuroscientist Amy Arnsten has referred to this as “the biology of being frazzled.” We can imagine that turning down the radio when we are trying to focus on parking is our way of protecting our precious prefrontal resources so that we can stay focused on the task at hand. The Baha Men, Who Let the Dogs Out? I’m not sure how frequently people turn the music down while parking, but it’s not a bad thing to do from a multitasking perspective. Research has shown that people have limited “mental resources” to dedicate to tasks they’re working on. You want to prioritize dedicating those resources to the tasks that are most important, in this case, parking the car without any accidents. How such resources work, and how easy it is to multitask, in various situations is still an active area of research.1 The more overlap there is between the nature of two tasks, the more they make use of the same resources, and the more difficult it is to perform them at the same time.2 This is why it’s dangerous to look at your mobile phone while you are driving—both require your eyes and visual processing areas in the brain. At the same time it’s relatively easy to wash the dishes while singing, because these tasks have little overlap (i.e., auditory system for singing, manual system for washing). At first glance, parking the car requires different resources (visual and manual) than to listening to the radio (auditory). However, there might still be at least some interference, particularly if you are an active listener. Recent research suggests that the more actively you contribute to an auditory task (e.g., as in an intense conversation), the more it can distract you.3,4 One hypothesis is that the procedure of starting a (thinking) process can distract.5 I speculate that although there will be relatively little of such “procedural activity” while passively listening, there might be some small interference with active listening. By reducing the volume of the radio you minimize that interference. A second reason why turning the volume down on your radio is not a bad thing is due to increased situational awareness. If the volume of the radio is low it is easier to hear sounds that are in the car (e.g., your parking assistance system) and outside of the car (e.g., sounds of children running around near your car). That is, you can be more aware of the situation around you when other sounds (i.e., the radio) do not interfere. You can thereby also respond faster to these sounds. Modern cars are becoming more and more insulated. Therefore, even with the radio volume down it can be hard to hear what happens around you. In our own work we have looked at the implications this has for making (urgent) phone calls in the car.6 People who call a driver might not be aware that they are interfering with someones driving ability—as they do not hear the traffic. In these cases it is advisable to share this context explicitly and save your call for a later time. Again, dedicate your limited resources to the most important task. 1. Janssen, C. P., Gould, S. J., Li, S. Y. W., Brumby, D. P. & Cox, A. L., “Integrating knowledge of multitasking and Interruptions across different Perspectives and research methods,” International Journal of Human-Computer Studies, 79 (2015), 1–5. 2. Wickens, C. D., “Multiple Resources and Mental Workload,” Human Factors, 50 (2008), 449–455. 3. Kunar, M. A., Carter, R., Cohen, M. & Horowitz, T. S., “Telephone conversation impairs sustained visual attention via a central bottleneck.” Psychonomic Bulletin & Review, 15 (2008), 1135–1140. 4. Iqbal, S. T., Ju, Y.-C. & Horvitz, E. (2010). “Cars, Calls, and Cognition: Investigating Driving and Divided Attention,” in S. E. Hudson, G. Fitzpatrick, W. K. Edwards, T. Rodden & E. Mynatt (Eds. ), Proceedings of the SIGCHI Conference on Human Factors in Computing Systems, New York, NY: ACM Press (2010), 1281–1290. 5. Salvucci, D. D. & Beltowska, J., “Effects of memory rehearsal on driver performance: experiment and theoretical account,” Human Factors, 50 (2008), 834–844. 6. Janssen, C. P., Iqbal, S. T. & Ju, Y.-C., “Sharing a Driver’s Context With a Caller via Continuous Audio Cues to Increase Awareness About Driver State,” Journal of Experimental Psychology: Applied, 20 (2014), 270–284.